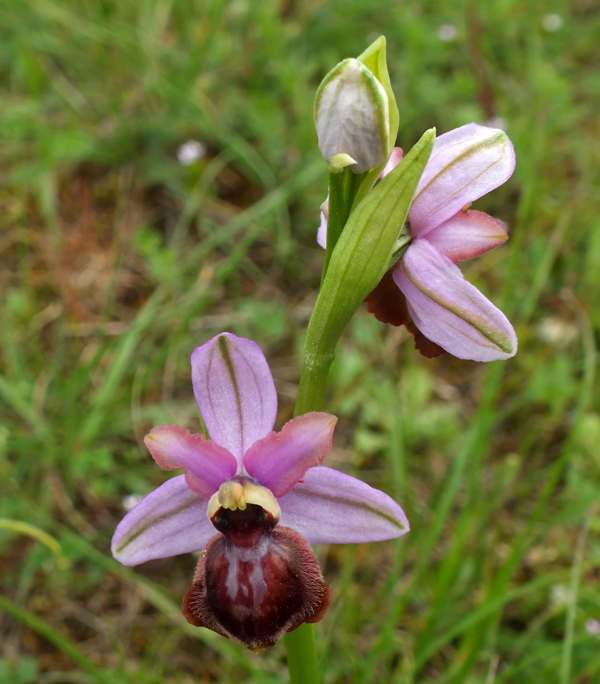 This robust ophrys species grows up to 40cm in height and bears between 5 -12 large colourful flowers. The sepals are generally pale-to-dark pink although creamy white and greenish examples also occur. The lip of the flower can be almost round but is sometimes rhomboidal. The speculum is very variable with patterning which can consist of the H-shape familiar from Ophrys sphegodes to a complex grouping of small 'outlined' dots. 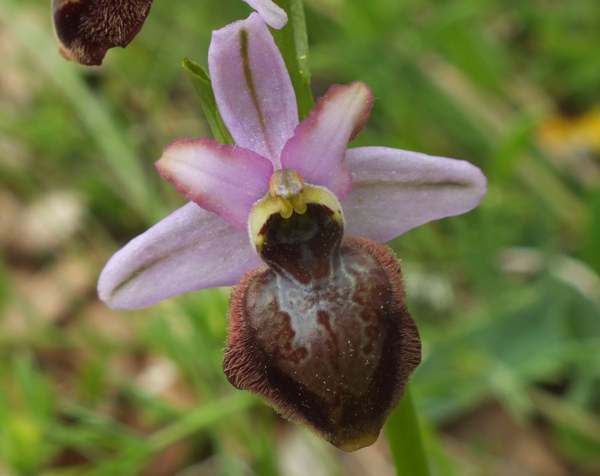 This orchid is entirely endemic to the southern foothills of the Masif Central in France and can mainly be found on the Causse du Larzac. It is rare and very localised. Ophrys aveyronensis grows on the limestone plateau of the southern Massif Central in France. It is tolerant of full sun or light shade and favours scrubland, unimproved grassland and is also found in open oak woodland. Ophrys aveyronensis flowers in May and June.